SIProd (SawInfo Production) is a production terminal intended to be used close to production of lumber packages. 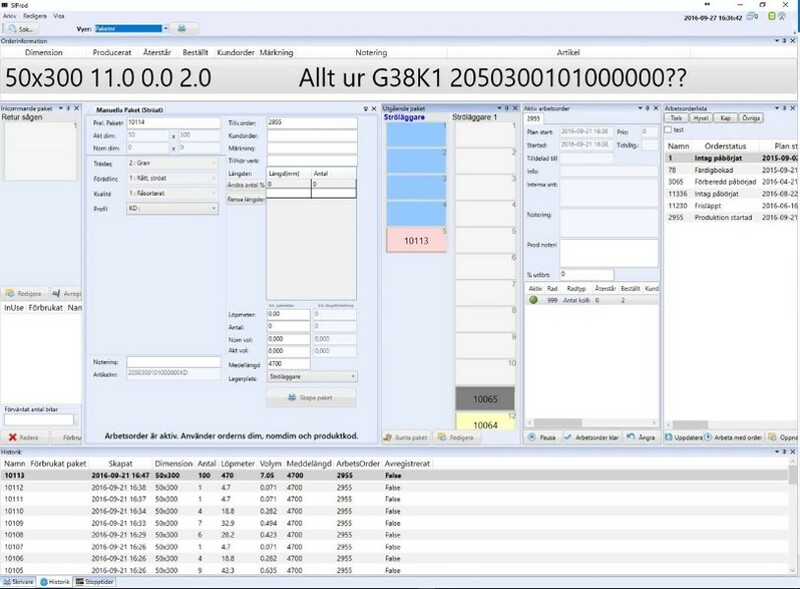 SIProd has all functionality needed such as order list, PLC integrations, label printing, login of stop times, manuel package creation, barcodes etc. SIProd can be used stand alone or in combination with SIPlan and SISS.